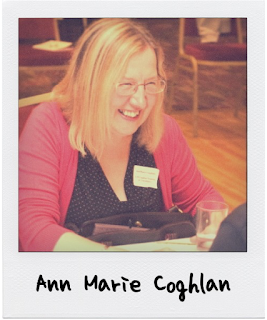 Ann Marie Coghlan is a Professional Genealogist living in Ireland. She is a member of The British Chapter of APG : The Association of Professional Genealogists. Ann Marie’s background is in Education and in Business Consultancy. She manages Social Media for Cork Genealogical Society and has the Cork Genealogical Society’s Facebook pages with its private Hubgroup for Cork DNA. She is also the Admin for The Cork Ireland Project, The Nagle Family Project and McGrath Clan Project hosted at FamilyTreeDNA. Professional Genealogist at ‘ Family Past & Place Genealogy Services’. My own research if I’m lucky ! I was always interested in early prehistory research. I read Brian Sykes ‘Seven Daughters of Eve’ and that started my interest but at that time DNA testing was very expensive. At WDYTYA Live in London 2013. I was ‘encouraged’ by Maurice to test with FTDNA and was also interested in the possibilities around reuniting the Cork Diaspora with Y- and atDNA. On receiving my results, I realised the only way to identify my own Cork lines was by networking with other Cork researchers. I applied for the Cork-Ireland Project on FTDNA and set up a private Facebook group for Cork Heritage using the Gedmatch Facebook group model. These were then connected to the established Cork DNA Leaders’ research, and the Gedmatch group subsequently to Cork Genealogical Society, where I have been a member for over 12 years. We are also registered with ISOGG as a Geographic Project. I finally tested my own mtDNA two years ago and was awarded a rare Haplogroup and profile (thank you Grandma!) which is very interesting in itself, but not helping me much with my own traditional family research. At GGI2016, Ann Marie gave us a fascinating insight into Adding DNA to your Family History Society. Here is the blurb about her talk, co-delivered with Maggie Lyttle: There are a variety of Family History Societies around Ireland and many of them have recently started to incorporate DNA testing as part of their society’s activities. In this presentation we hear from two such societies, one from Cork, the other from Ballymena. Ann Marie and Maggie will be telling us how they did it, why they did it, and what difference it has made to the members of their respective societies. Cork Genealogical Society - who are we and what do we do? How we incorporate DNA research into Cork Genealogical Society.